Why Are Golden Retrievers So Popular? 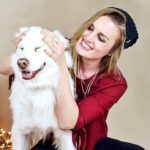 Is a Golden Retriever Right for Me (Should I Get a Golden Retriever)? There are so many different dog breeds to choose from; so many to know and learn about, but there is one dog breed that everyone is familiar with – regardless of general interest in dog breeds and dogs – and that is the Golden Retriever. The Golden Retriever is the dog of dogs; the breed that pops into your head first when asked to name a popular breed, or when trying to think of a dog from a popular movie. Golden Retrievers are everywhere, and their mellow temperament, impressive learning ability and never-ending will to please are all contributing factors to why they remain the most popular dog breed in the United States today. Pssst! 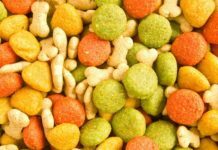 Golden Retrievers will love these dog food options! The Golden Retriever is a large, goofy and incredibly friendly dog. They are known for their calm temperament and for being excellent family dogs, and that long and silky golden coat makes them look like the poster image of a perfect dog. The Golden Retriever is tolerant, intelligent, highly trainable and great at canine sports and competitive obedience, and it is no coincidence that they are often seen in movies and on TV since they tend to be easy and pleasant to work with. It is a dog breed that currently holds the title of the most popular breed in the United States, and for anyone who has ever met a Golden Retriever – this comes as no surprise. If you are looking for a faithful friend that will be both a great exercise partner for grown-ups in the family, as well as the ultimate friend and playmate for the kids – a Golden Retriever is highly unlikely to disappoint. Those big dark eyes and friendly smiles say it all, and a Golden Retriever will stay faithfully by your side from the moment they move into your home and until the day they are forced to depart; making them the best friends you will ever be fortunate enough to have. Golden Retrievers often love water, don’t mind getting wet and are great swimmers. They have webbed toes for improved swimming ability, a thick and soft double coat that can take some time to dry and they have something called a “soft mouth,” which allows them to gently carry items (and prey, when hunting) without hurting or damaging it. It is a calm dog with an on- and off switch; that can enjoy hours of cuddling with the family in front of the TV, but that will thrive when out and about for adventure and exercise. The first known Golden Retrievers were bred somewhere around the mid-19th century, in Scotland. Their original purpose was to exceed and surpass other Retriever breeds in retrieving ability since other Retrievers had proven not to impress in retrieving pray in both water and on land. Wildfowl hunting was a popular sport during this time in history, especially (and possibly exclusively) among the Scottish elite. The grounds where they hunted would often have big ponds of water every here and here, which naturally meant that prey would occasionally land in water once shot down. To solve this issue; water spaniels were crossbred with the Retriever breeds that already existed, and with time – the stunning Golden Retriever with its gold fur emerged. Breeding the Golden Retriever as we know it today was a lengthy process, where many different breeds were brought in to add desired abilities and traits; with one example being the Irish Setter and others being the Bloodhound and the now extinct Tweed Water Spaniel. Virtually creating a new dog breed through conscious breeding can be a hit-and-miss, but these determined breeders knew what they were looking for and what they hoped to achieve, and they managed to create a dog breed that now seems unable to drop in popularity, and that is loved by people in countless countries all over the world. It is no secret that the Golden Retriever is an incredibly popular breed; not only in the United States but all around the dog-loving world. It is a breed whose popularity shows no signs of going away or lessening anytime soon, and to understand why that is – all you need to do is to meet a Golden Retriever. They are great options for families with children since they are known for being gentle and patient, as well as for knowing their limits around young and fragile humans. These abilities along with their loving personality have been making them a top choice for families with kids for decades, much due to how well they adapt to a busy and often unpredictable family lifestyle. Another keystone in the solid foundation of the Golden Retriever’s popularity is media coverage. When you look at movies and TV, the dogs chosen to play important roles have often been Golden Retrievers. This is especially true in children’s movies, which could explain why this is the breed kids will wish for when families plan for getting a dog. We have the AirBud movies; with the Basketball playing pup, there is Homeward Bound about a Golden Retriever and his two friends who are faithfully trying to get back to their family, Sammy – the dog in the Lindsay Lohan movie The Parent Trap, the family dog in the classic TV series Full House and many more. This type of pop culture exposure can definitely have an impact on a breed’s popularity, which could be a contributing factor in this case. The versatility of the breed, however, might be its absolute strongest attribute. Not only is it an excellent family dog due to its compatibility with children, but it is also a fantastic adventure companion and exercise partner! This is a dog breed that can do it all and enjoy various types of activities together with its human family members. A Golden Retriever can cuddle with the kids in the morning, spend hours playing fetch in the afternoon, go for a run with mom before dinner and hike with the whole family on the weekends; they can learn agility and obedience, they make great service dogs and can be trained to sniff out anything from different types of mushrooms to drugs and weapons. It is a breed that can do everything, which therefore makes it suitable for a large group of individuals, despite these individuals having completely different lifestyles, needs, and abilities. 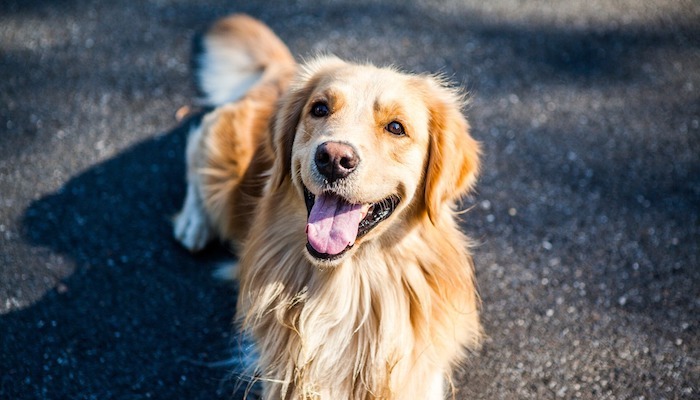 While the Golden Retriever can adapt to a great variety of situations, meaning that almost any person with a big heart and a will to exercise would make a good owner for a Golden Retriever – there are a few things to consider before deciding if a Golden Retriever is good for you. You might be right for them, but are they right for you? Golden Retrievers are large dogs, so they might not be ideal if living in a very small space. 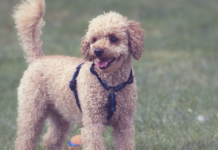 This depends entirely on how much exercise and activation you can offer a dog outside of the home, however, but it is something worth considering. A male Golden Retriever can weigh up to about 65-75lbs (29-34 kg), and they fall into the category of large dogs. 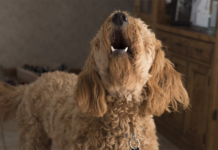 Another aspect to take into consideration is that Golden Retrievers shed, which could be an issue if you are allergic or bothered by finding dog hairs all around the house. If this is the case, then you are probably better off with a breed that does not shed or that sheds very little because the Golden Retriever is quite the shedder at least two times a year. 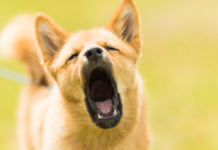 Be prepared to brush daily during these periods, to avoid having your home covered in a layer of dog hair and take into consideration that this is a breed that requires frequent grooming (brushing) for this reason. If, however, you are an active individual who is looking for a dog that can tag along on any outdoor adventure – be that a long hike or a game of fetch at the park – but that can also unwind and relax while at home, and that is gentle and loving towards both family members and new people, then the Golden Retriever might be for you! 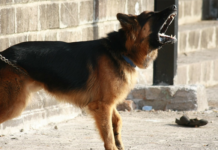 It is an overall easy dog to deal with, but they do need to be activated both physically and mentally, and they don’t like to be separated from their family for too long. If this sounds like you; someone who has the time, the energy, the commitment, and the heart to give a Golden Retriever the life they need and deserve – then you can’t find a better and more loyal dog than this gorgeous golden coated Retriever. Knowing what you want and expect is important when choosing a dog breed, but it is also crucial to know yourself well enough to be aware of your abilities and limitations. A Golden Retriever usually lives for 10-13 years, so make sure you are ready for the commitment before inviting one of these pups into your home. They won’t ever let you down, so make sure you are committed to being there to return the favor, before considering a Golden Retriever.